One of the priorities of the club is to provide as much lacrosse as we can for boys with all levels of experience. During the regular season, players with a variety of experience levels participate on teams together to keep all the teams competitive. 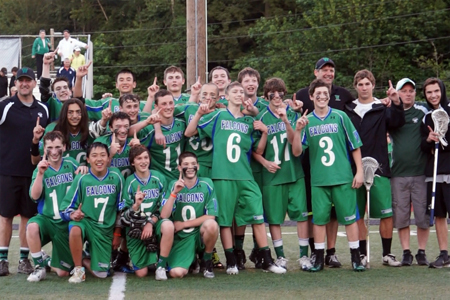 The Falcon Tournament Program was developed to provide even more lacrosse for players interested in extending their season and playing with other players with similar abilities. These teams will be matched up against opponents with a similar level of play in tournaments or single games, therefore this program will demand a higher level of commitment and focus from players and their parents.